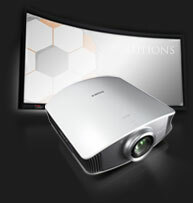 is a one-stop shop for all your Presentation Equipment, complete Audio Visual Systems and Furniture requirements. Our clients all over the U.K. from Edinburgh to Tunbridge Wells. We are also approved distributors for many of the leading names in the industry such as Sony, Bose, JVC, Hitachi and Senator Furniture Suppliers. As experts in the field of supplying and installing all types of presentation equipment and in creating total presentation systems. We pride ourselves in being experts in the field of audio visual system Installations to any business or leisure environment. We specialise in Conference, Meeting and Training Room system installations. It is also our policy to offer user system training and hand over as standard with our system installations.